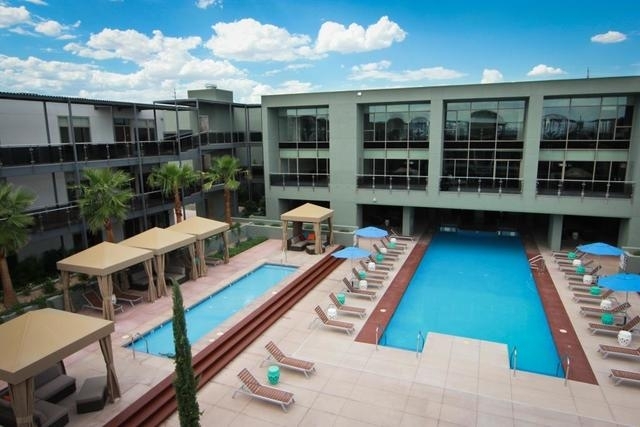 San Diego-based Pathfinder Partners has aquired the 39 remaining unsold condominiums in Park House, a three-story, 83-unit luxury condominum property at 8925 W. Flamingo Road in Las Vegas. The price was $7.7 million. The seller, private equity investment firm CIP II/BR LV Lofts LLC, had acquired the property from a lender in 2010, completed construction in 2012 and sold 40 condos over the past three years. Pathfinder plans to rent the condos and explore the possibility of individual condos sales in the next two years, according to Lorne Polger, senior managing director of the firm. Leasing and management of the condos is being handled by Stout Management. According to Polger, demand for high-end condos in Las Vegas has recently accelerated and Park House’s location between the Strip and Summerlin shopping had special appeal to the company, which last year purchased the remaining 64 units of Sky Las Vegas on the north end of the Strip from the original developer. • ROC II NV Ritz LLC purchased the 205,928-square-foot Sanoma Pointe Apartments at 4250 S. Jones Blvd. in Las Vegas for $20.832 million. Tom Naseef, Garry Cuff, and Jeff Naseef of Colliers International represented the seller, Petwin Flamingo Corp.
• TMF Acquisitions LLC purchased the 258-unit Enclave at University Town Center apartments at 4801 Spencer St. in Las Vegas for $16 million. Art Carll and Patrick Sauter of NAI Vegas represented the seller, Nevada Springs LLC. • NSHE Lake Enriquillo LLC purchased a 28,910-square-foot industrial property at 2057 Maule Ave. in Las Vegas for $3.25 million. Susan Borst of Colliers International represented the buyer. Pat Marsh, Sam Newman, Dan Doherty, Susan Borst, Chris Lane and Jerry Doty of Colliers International represented the seller, PanCal Maule 262 LLC. • Findlay Family Properties Ltd. purchased 3 acres of land at Jones Boulevard and Badura Avenue in Las Vegas for $1.15 million from Mid Badura LLC. Grant Traub and Chris Connell of Colliers International represented Findlay Family Properties Ltd.
• MSN Durango purchased 1,221 square feet of office space at Durango Trails at 5235 S. Durango Drive, Suite 2, in Las Vegas for $303,000. Jason Otter and Chris Richardson of Logic Commercial Real Estate represented the buyer and the seller, Durango Development Group. • Oasis Properties and Consulting LLC purchased 2,757 square feet of industrial space in the Northpointe Business Center at 4240 N. Lamb Blvd., Suite 110, in Las Vegas for $275,000. Dean Willmore and Chelsy Cardin of Colliers International represented the seller, FJM Northpointe Associates LLC. 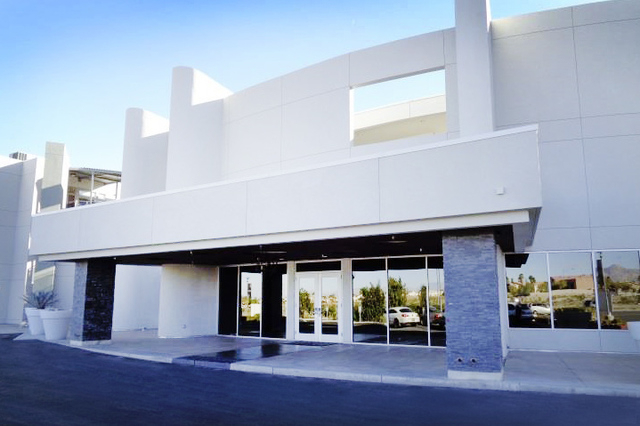 • No Insurance Surgery Inc. leased 1,848 square feet of office space in the Russell I-215 Development at 9121 W. Russell Road, Suite 115, in Las Vegas for $237,243. Soozi Jones Walker and Bobbi Miracle of Commercial Executives Real Estate Services represented the landlord, Beltway One Development Group. • Freeman Expositions Inc. leased 78,000 square feet of industrial space in the Jones Corporate Park at 6420 Karms Court in Las Vegas. Pat Marsh and Sam Newman of Colliers International represented Freeman. • First Class Glass leased 8,000 square feet of industrial space at Arrowhead Commerce Center Building 13 at 6255 S. Sandhill Road, Suite 900/1000, in Las Vegas. Spencer Pinter, Dan Doherty, Susan Borst, Chris Lane and Jerry Doty of Colliers International represented the landlord, KTR LV II LLC. • Volta Systems Group LLC leased 6,177 square feet of industrial space in Polaris Crossing at 3399 W. Oquendo Road in Las Vegas. Greg Pancirov and Mike DeLew of Colliers International represented the landlord, Thomas K. Kurian and Simon S. Beaulah. • The Neon Museum leased 4,000 square feet of industrial space in the Northpointe Business Center at 4240 N. Lamb Blvd., Suite 115, in Las Vegas. Dean Willmore and Chelsy Cardin of Colliers International represented the landlord, FJM Northpointe Associates LLC. • Curago Vita LLC leased 1,660 square feet of office space in the Green Valley Professional Center at 2551 N. Greeen Valley Pkwy., Suite 205B, in Henderson. Chris Connell and Grant Traub of Colliers International represented the landlord, 2625 GV LLC. • Jacklyn Rosen leased 1,551 square feet of office space in the Green Valley Professional Center at 2551 N. Greeen Valley Pkwy., Suite 210B, in Henderson. Chris Connell and Grant Traub of Colliers International represented the landlord, 2625 GV LLC.